Every morning brings us a brand new day. Do you charge through it with your head held high or do you shrink away from it, afraid of the unexpected or convinced you’re not worth what a new day can offer? While it may not be something we think about often, our self-esteem has an enormous impact on how we live each day. Those of us with a healthy sense of self-esteem are often confident and willing enough to let our true selves shine through; and, when we feel good about ourselves, we are more likely to find success personally and professionally. However, when our self-esteem is low, we become our own worst critic. Negative self-talk can take control of our thoughts, resulting in feelings of anxiety, depression, dependency, inadequacy, and so much more. In a nutshell, having a low self-esteem can make even the most mundane daily activities feel dreadful. Certain essential oils have properties that can help lift you up out of a rut and encourage kind thoughts toward yourself. Maintaining a healthy self-esteem is a life-long process, and using essential oils can provide just the right amount of emotional support we need to learn how to love who we are and embrace our lives with confidence. In a sense, these self-esteem boosting oils help you do you. Let’s say you have a room in your house that is a bit drab. The colors are dull, the air is stale, and there is really nothing worth looking at in there. What can you do to take that room up a notch? It’s easy – add some flowers! A beautiful, colorful bouquet can add an instant pop of brightness and cheer, right? Suddenly, the room doesn’t look quite so plain — and you know what? You might find this room isn’t a lost cause after all. It just needs a little work here and there and a lot of love. Well, if you’re feeling like a boring, drab, pointless room, it’s time to add some flowers! Using essential oils that are steam distilled from the flowering tops of their respective plants are often fantastic for emotional support. 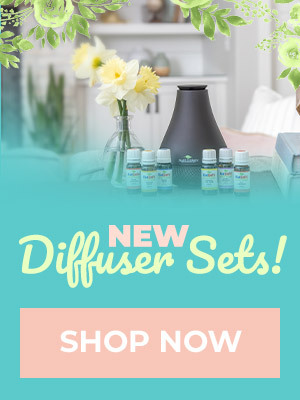 Like the way blooming flowers make a springtime garden come to life, using essential oils from flowers can represent how we are able to grow and bloom ourselves, revealing what’s truly inside for everyone to see. Try these essential oils to help find that beauty within yourself. Perfect when moodiness and irritability are giving a loud voice to your inner critic. Relaxing and calming when revved up emotions are making you feel stressed out or unhappy . Also, if your self-esteem seems to take a dip during that special time of the month, Clary Sage is also known to provide relief to many symptoms caused by menstruation, as well as provide balance to emotional extremes. If you’re an essential oil enthusiast, you probably know all about this gem. 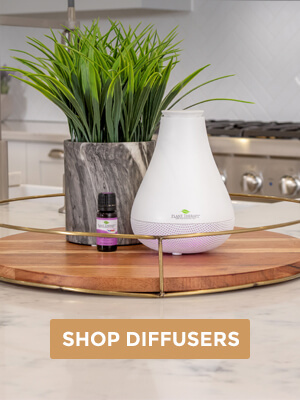 Given all of the emotional support Lavender provides, it’s no surprise that this essential oil is distilled from those pretty purple blooms that burst from the top of the plant. Calming, soothing, nurturing, healing…basically, the list of adjectives for Lavender could go on and on. 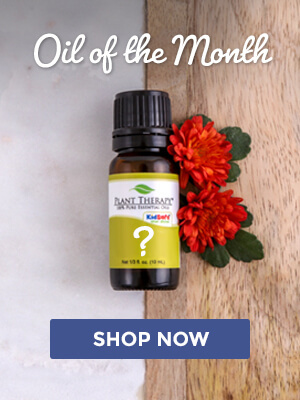 Bottom line: take control of your stream of negative thoughts with this oil known to reduce feelings of anxiety and fear by calming an overworked nervous system . If any flower screams CONFIDENCE, it’s the gorgeous, statement-making golden blooms of Blue Tansy. From these flowers comes a beautiful, rich, blue oil that is cherished for the way it can melt away nervous tension and soothe feelings of doubt and worry. Be as bold and bright as the Blue Tansy blooms and unleash your self compassion! Not into flower power? That’s okay! There is plenty of other self-esteem supporting essential oils! The unique, sweet and peppery aroma of Coriander Seed is a great mood-booster that also works to calm frazzled nerves brought on by constant worry and feelings of insecurity. Since it also helps support mental focus, you’ll be more able to push negative thoughts aside and focus on living in the present moment. A strong sense of self-esteem is borne from introspection and constructive reflection. If you are able to quiet your mind and focus your attention on looking at yourself with compassion, you may find your inner critic taking a back seat to a more kinder self-talk that helps, rather than hinders you. With Frankincense, you can deepen your self-care practices, like meditation and active relaxation, to find that spark of enthusiasm to bring the true you out to the world. Low self-esteem can have you feeling anxious, stressed, and sad. Let Geranium Egyptian reduce those unpleasant feelings  and start lessening the impact of any consistent, unhappy thoughts . It’s uplifting, calming, and is a great hormone balancer for women. 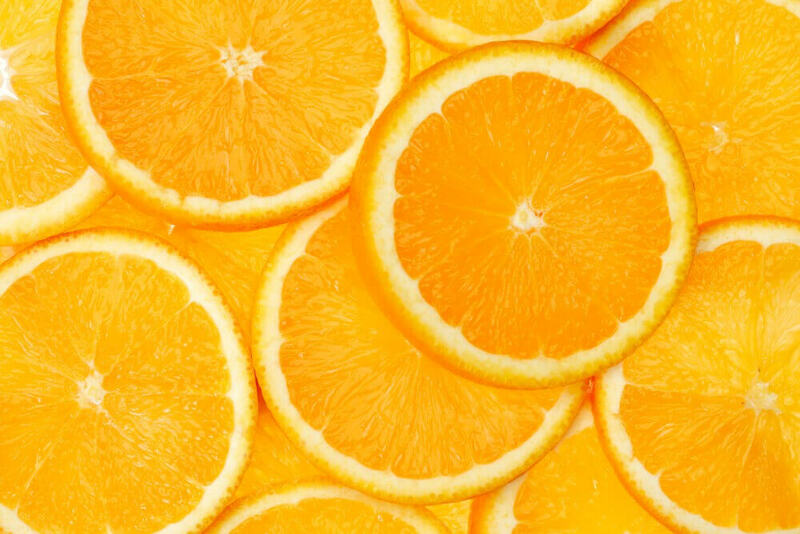 Don’t forget about those citrus oils! Citrus oils are always a wonderful go-to when your self-esteem needs some support. They are often bright, energizing oils that help us release positive emotions both inward and outward. Essential oils like Orange (Sweet and Blood), Lemon, Grapefruit Pink, and Bergamot help keep your mind alert, focused, and uplifted. Plus, they can provide us with a gentle punch of energy that encourages us to get up and move around, which is known to be a confidence booster in itself when those endorphins get flowing! We’ve got blends for this, too! If you haven’t given our Self Esteem Blend a try yet, you’re going to love this bottle of confidence and courage! With the essential oils of Spruce Hemlock, Frankincense Carteri, Ho Wood, and Blue Tansy, Self Esteem helps you feel self-assured and ready for anything! Compassion invites in positive energy and promotes unconditional love for ourselves, helping to heal the wounds of a damaged self esteem. Try this inhaler blend with some very cheery essential oils to help get you in the right mindset to think positively about yourself and everything great your uniqueness can offer! To use, add essential oils to your personal aromatherapy inhaler and enjoy throughout the day as needed! Seol, G.H., Shim, H.S., Kim, P-J., Li, K.H., Shim, I., Suh, S.H. and Min, S.S. (2010) Antidepressant-like activity of Salvia sclarea is explained by modulation of dopamine activities in rats. Journal of Ethnopharmacology 130, 1, 187-190. Woelk, H. and Schläfke, S. (2010) A multi-center, double-blind, randomised study of the Lavender oil preparation Silexan in comparison to Lorazepam for generalized anxiety disorder. Phytomedicine 17, 2, 94-99. Morris, N., Birtwistle, S. and Toms, M. (1995) Anxiety Reduction. International Journal of Aromatherapy 7, 2, 33-39. Perry, N. and Perry, E. (2006) Aromatherapy in the management of psychiatric disorders: clinical and neuropharmacological perspectives. CNS Drugs 20, 4, 257-280. Perry, N. and Perry, E. (2006) Aromatherapy in the management of psychiatric disorders: clinical and neuropharmacological perspectives. CNS Drugs 20, 4, 257-280. I just made it. I discovered the Blue Tansy is really blue when I missed one of the drops. I like the smell. I love all those separately wasn’t sure about the combination, but it is nice. Great post. Can’t wait to try these! I tried this and it was great. Will be keeping in my arsenal of goodies for sure! not a huge fan of blue tansy but curious to try this blend! Blue Tansy is definitely one of those oils that people either really like, or not so much. If you do not like the Blue Tansy in this blend, you may want to try removing it and increasing the spearmint, or replace the Blue Tansy with Bergamot or Chamomile. Hope that helps! 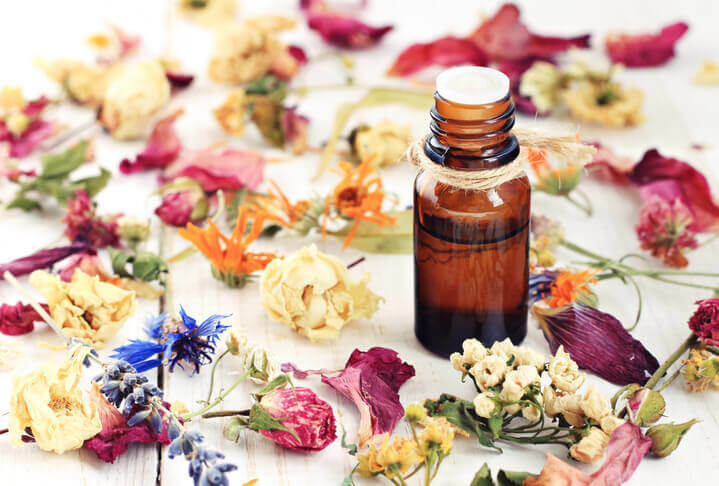 Nichole, please reach out to our aromatherapists at [email protected] to discuss any concerns you have about how an EO will react with your medications. I myself take SSRI medication but have no issue with small amounts of Blue Tansy being used in blends 🙂 We do include the caution to help people stay aware of contraindications, but you may find you can enjoy a bit of Blue Tansy with no problem! Thank you for the wonderful recipe. Will try it for sure! I love Plant Therapy! – What can I substitute Blue Tansy with? Would Blue Lotus work? Yoga and Essential Oils are the best combination!!! So happy I found PT to learn more about Kidsafe oils I’m comfortable using at home! Thanks for the recipe! Love how informative this blog post is. Lots of great options, thank you! This sounds amazing – PT comes up with THE BEST blends. I mostly just have your synergies because you due such a great job with those that there is no need to create my own – but I just have to try this. Thanks for the recipe! I’m going to need to try this one! While I love the Self Esteem synergy, I’m always looking for uplifting blends! This sounds wonderful!! I don’t have blue tansy, what other singles could I sub for that one? Marissa, you can either opt to just not include it at all, or use another one of your favorite uplifting and bright EOs. This is wonderful for all people whether dealing with depression/ anxiety or just want an extra dose of happiness! Love the different alternatives if you’re not a fan of florals/ fruits/ etc. I love everything with blue tansy so cant wait to try this for me and the kids! Thanks so much for this! I am a senior in college and could definitely use the boost this year! I am really looking forward to trying this blend. Blue Tansy really helps me breathe more deeply but I’ve only ever blended it with Chamomile. Curious to see how it plays with the citrus. 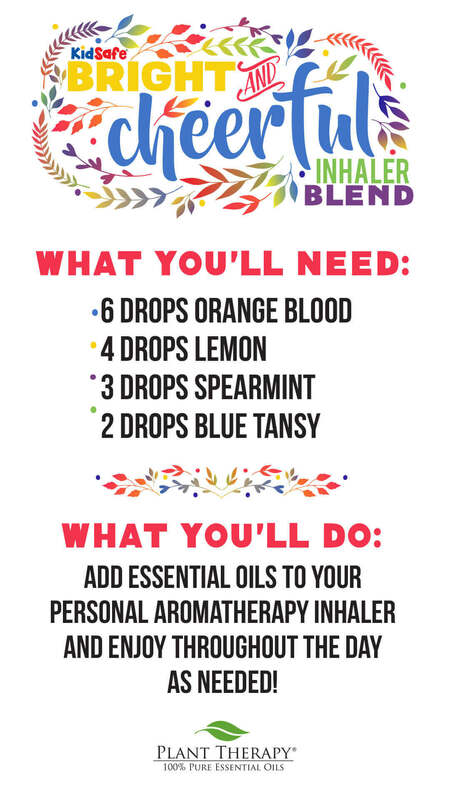 I made a batch of the bright and cheerful inhaler blend and absolutely LOVE IT! I love my inhalers and have shared them with many friends as gifts….GREAT GIFTS!! I would suggest either leaving it out completely, or adding another oil that makes you feel bright and happy in it’s place. I love Clary Sage! Blue Tansy is on my wish list. Thanks for this recipe. Can we use this in a diffuser!? What can I sub for the blood orange? looking forward to trying this blend especially since I have all the singles! yay! I am looking forward to trying this blend especially with the change of seasons and the longer days. I will have to try this. I’ve currently got Honeybell diffusing in my office, and it’s a great citrus-y pick-me up! Would you have any recommended substitutions for those who don’t dig the smell of blue tansy? Thank you! This sounds amazing! I could really use some help in the self esteem area in my life!! I will be trying these blends!!! I suffer from depression and anxiety, and self esteem has always been my go to. 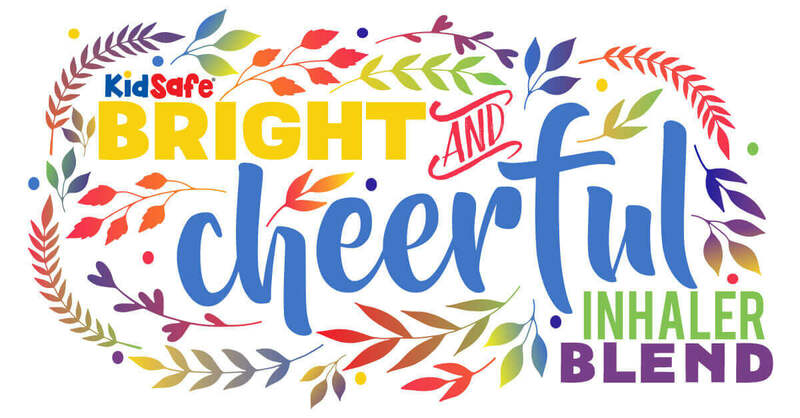 Love the sound of the bright and cheerful blend!! Can’t wait to make my own and have something to switch up my relief!! I love the Self Esteem blend but am going to try the bright and cheerful blend – thanks for the recipe! Thank you for sharing another wonderful inhaler blend !!! Plan on creating this tonight for gifts . I love your blog and all the safe information and recipes you share with us. Plant Therapy is an outstanding company and so blessed to have found you . Yes, thank you for sharing. I’ve seen a few this week that I want to try. I think I”l spend my Saturday morning trying the blends I’ve learned about on the blog.